In a move that should be a surprise to nobody, technology darling 500px is moving to take out Flickr with a new Plus plan. The company had previously held a high-level plan that was priced at $50 per year, but the Plus membership’s $20 per year pricing is aiming to hit Flickr where it hurts against its own pro-level plan at $25 per year. That part about engagement statistics is important for any photographer. But for those who are looking at how to truly connect with an audience, 500px is offering something that nobody else has really managed to do. Combine that with a market function that Flickr just doesn’t have and 500px is putting itself into a strong position. It seems now that 500px was just testing the waters back in December when it lowered the pricing of its high end plan to $25 for a short time. With an increasing number of professionals leaving Flickr for 500px, it was time to hit that middle demographic as well. Another, smaller announcement is coming today as well. 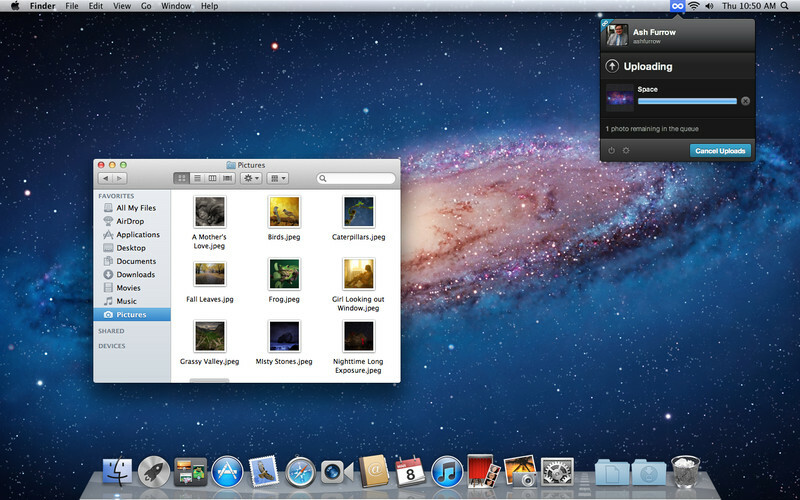 The site is introducing a desktop uploader app, for the Mac only. It’s doing so in response to the 30,000 photos per day that are uploaded to the service via the manual process, with 25% of its users on Mac machines. The uploader sits at the top of your screen, ready for your command. Once you’re signed in, you can upload directly from your desktop, instead of having to worry about going through the 500px site itself. With a host of killer features online, a new desktop uploader, a price that now beats Flickr and mobile portfolios that people will actually use, 500px is primed to take out the competition in a big way. As the behemoths of the photo industry are stalling, 500px continues to climb.